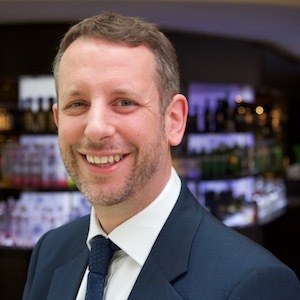 Dan Mobley was appointed global corporate relations director in June 2017, after joining Diageo in 2016 as corporate relations director for Europe, based in Brussels. Prior to joining Diageo, Dan held a variety of roles in corporate affairs at Standard Chartered in London, Mumbai and Johannesburg. Dan moved to the private sector after eight years in the UK Treasury, latterly as private secretary to the permanent secretary and a spell with the Foreign Office in the UK Representation to the European Union in Brussels. He has also worked for a trade union, environment and development NGOs and the United Nations Association. Dan is currently chair of the board of IARD, the international alliance for responsible drinking, which brings together the largest global alcohol companies to tackle misuse. Dan was born and raised in the North of England and holds a degree in philosophy and politics and a M.Phil in International Relations, researching peacebuilding in Asia and Africa, both from the University of Oxford. Dan is married to Diana and they have a delightful daughter Sophia. Dan enjoys travel, football, chess and sampling his industry’s products as a Freeman of the Worshipful Company of Distillers.